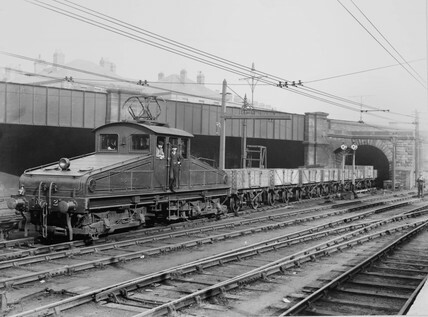 North Eastern Railway electric locomotive, c 1910. North Eastern Railway electric locomotive no. 2. Trafalgar Yard, Newcastle.